hosted by Meteek & Co. 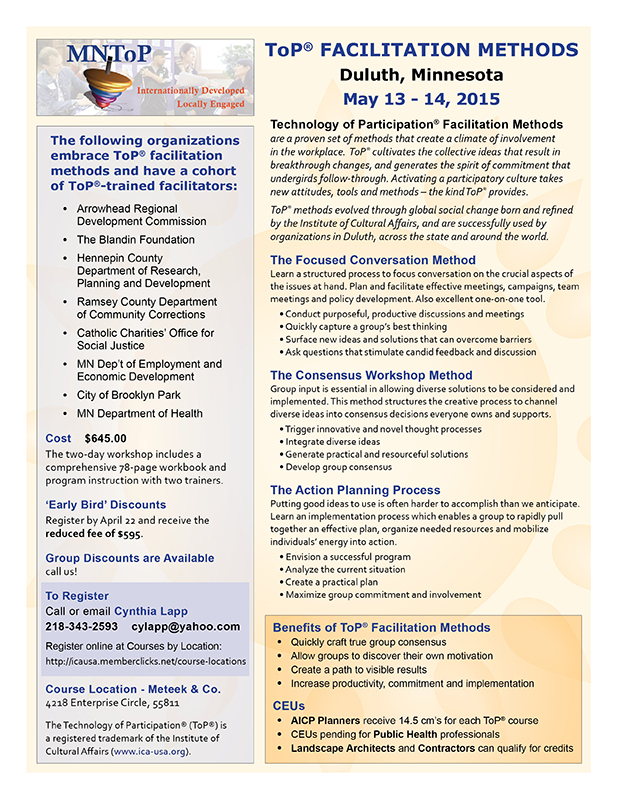 In May we will host our third ToP Facilitation Methods training at Meteek. These methods are flexible and can be used in virtually any setting — Randy, Andy and Cynthia have all gone through the training, and we use it daily in the office, with clients and in managing projects. From the flyer: Technology of Participation® Facilitation Methods are a proven set of methods that create a climate of involvement in the workplace. ToP® cultivates the collective ideas that result in breakthrough changes, and generates the spirit of commitment that undergirds follow-through. 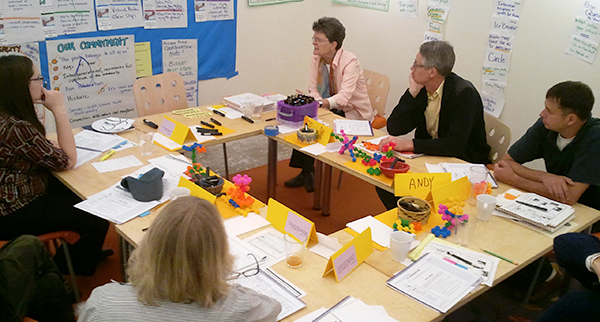 Activating a participatory culture takes new attitudes, tools and methods – the kind ToP® provides.